Transaction was very easy do do on Christy’s website and delivery time was very short so overall I’m very pleased with the service as well as the quality of the product. Turkish cotton is beautiful so thank you for good service & product. 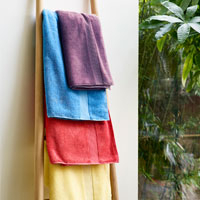 Love the colour and the quality of these towels. I bought a set for my newly refurbished bathroom 8 months ago and have now just purchased a second set whilst there was a sale on. Excellent quality and highly absorbent. Exceptional quality for the price. Dense, lint-free pile, generous in every respect. Great colour range. Top quality and nice to use hope they wear well. Excellent quality towels at a great price. Colour not quite what was expected for picture on the website. Great product really soft towels. We decided recently that our old Christy towels were in need of renewal so as we had previously obtained these from a local store we had no reservations purchasing replacements online. We thought we would treat ourselves and chose the most luxurious towels, according to their website: "Our... Read More. We decided recently that our old Christy towels were in need of renewal so as we had previously obtained these from a local store we had no reservations purchasing replacements online. 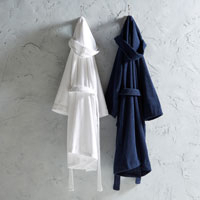 We thought we would treat ourselves and chose the most luxurious towels, according to their website: "Our collection of Luxe towel in this gorgeous Demin colour is the ideal choice for unwinding in style, this striking deep blue shade is sure to add a touch of class and refreshing ambience to your bathroom. 100% Turkish cotton, combined with a weight of 730 GSM, means this towel is luxuriously soft and has excellent absorbency that give it that spa-quality feel"
On first opening the packages it was obvious that these were not the luxury towels we had expected but on reading the enclosed instruction leaflet it advised that the towels be washed before use. We duly washed the towels but this made no difference, they still looked and felt like items from a charity shop, certainly not like items that had cost over £200. The towels were returned because expectations far exceeded reality, the quality is way below what we had expected from Christy. So, always check the goods before you buy, never rely on reputation alone. The only positive thing to come out of this was that after the towels were returned the company quickly refunded the total payment. Excellent quality. I wasn't expecting the colour denim to have a greenish colour. Just real quality and great value for money. Again colour nothing like that shown on the website. Very disappointing. As before. Lovely quality, colour awful. Same as before. Lovely quality but colour terrible. Lovely quality towels but the colours are nothing like they are on the website. Looked a bright sky blue on the website but turned out to be a dark muddy blue. Same thought as the hand towel. My husband loves the colour and the feel. Highly recommended. 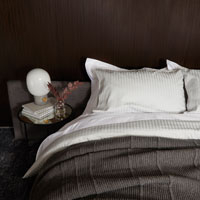 Luxurious and quite soft. Not as soft as the Egyptian ones I bought before. I bought these towels because I have used Christy towels for a very long time, in fact some that we have had for over ten years. I am pleased with this good quality product. Same as previously, the best available anywhere. 100% quality down to the last stitch. Fantastic product, definitely looking to buy more. Not as thick as I had thought. Not as thick as I had hoped.